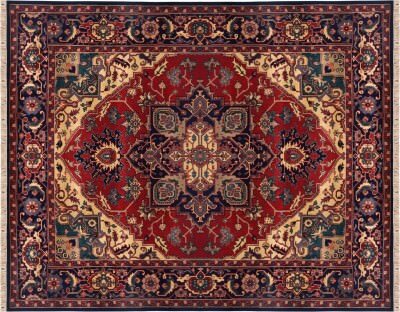 Traditional Oriental rugs and other flooring made from wool or silk are cleaned and restored in our own specialized facilities. This custom workshop allows us to safely inspect and test every rug’s fabric and dyes before starting our complete cleaning procedure. Rugs are cared for by hand during every step. Many clients have discovered to their dismay that ordinary carpet cleaners are often unqualified for Oriental rug cleaning. Fortunately, you are obviously searching for rug maintenance that you can trust. A family-owned business, Artistic Associates has over forty years of experience with Oriental rugs. We combine that practical knowledge with specific training from the Institute for Inspection, Cleaning and Restorationregarding the science behind making and caring for customized rugs. Heirlooms deserve the same preservation they would get from a museum, and techniques that provide the quality care that you are looking for. Review Artistic Associates’ eight-step process for maintaining Oriental rugs. Just as craftsmanship went into creating your rugs, skill is necessary for cleaning and repairing them. Our specialized skill set allows Artistic Associates to successfully repair damage to rugs from waterseepage, food stains, moths and beetles, or even pet urine. Finally, we make available safe fabric protectants and customized underlayments, essential components for long-lasting rugs. Cautious procedures, experienced technicians and in-house facilities are the best guarantee that your Oriental and custom rugs will return to you in beautiful condition. In addition, for our client’s benefit, Artistic Associates is fully insured and bonded. With honest pricing, an expert team of technicians, and specialized facilities, we guarantee that the maintenance and repair of your rugs will be a wonderful experience. Our clients in Loomis, California call us at 916.483.7400.